VisualSpreadsheet is a powerful software that allows you to interact with the particle images captured with the FlowCam®. Improving on other spreadsheet software programs that only allow you to sort and filter rows of numeric data, VisualSpreadsheet gives you the ability to sort and filter actual images. Ultimately this gives you a more in-depth analysis of your sample and a better understanding of your data. VisualSpreadsheet turns your data into insight! Take it one step further with Classifier Advanced. Results are displayed immediately as particle images instead of numbers. Immediately find and display all similar-type particles in a heterogeneous sample with sophisticated pattern recognition capabilities. Compare incoming FlowCam data against one or more libraries to instantly enumerate concentrations of specific particle types. VisualSpreadsheet is included with all FlowCam instruments. 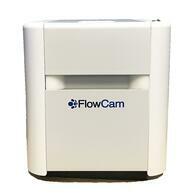 A satellite version is also available so you can work with your FlowCam data on your own computer. Contact us for more information! 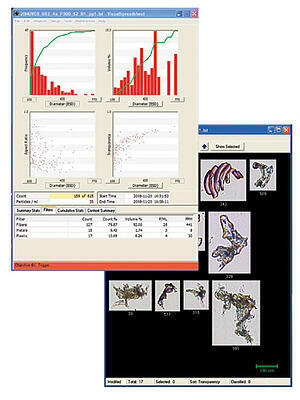 VisualSpreadsheet allows you to work with the particle images captured by the FlowCAM just like a typical spreadsheet. Watch this short video to see how you can easily filter and sort your data based on a variety of parameters. VisualSpreadsheet allows you to select data ranges to analyze directly from a scattergram or histogram. Here's how it works! See how to create a basic value filter in VisualSpreadsheet to select only those particles you are interested in analyzing. Take image classification one step further with Classifier Advanced.